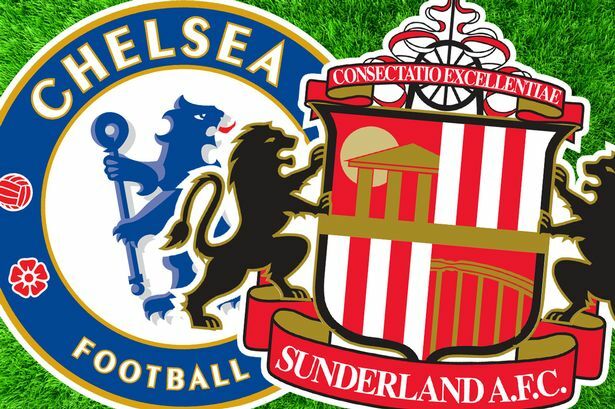 Chelsea and Sunderland will play at Stamford Bridge - their last Premier League match of the season on Sunday 21st. Both teams have their fate already decided with Chelsea topping the table and Sunderland at the bottom of the relegation zone. After a solid season, Chelsea were crowned champions last week with two matches remaining. Sunderland, on the other hand, will play in the Championship next season. For the Blues, things look promising ahead. With only Ruben Loftus-Cheek injured, all other players are fit and ready to play. Antonio Conte hinted after the match against Watford that he will field his full-strength team for this match as preparation for the FA Cup final. Sunderland will play their last match of the Premier League with several injured players, with 11 players ruled out for the clash. David Moyes said that he will have to put out “a patchwork team” and didn’t specify the starting eleven, but a lot of important players like Pienaar, Denayer and Anichebe will miss the match. Given the circumstances, with Chelsea playing a full strength team and Sunderland with a diminished squad, it’s not illogical to foresee a match that is something of a goalfest for the home team. Odds for a match to have more than 2 goals are 1.40 which looks fair to me even though I'm not typically big on odds-on shots. Chelsea have scored 2 or more goals in their last seven home matches. The likelihood of Sunderland to even score seems relatively low. They haven't scored since their 2-2 draw with West Ham on April 15 and the weakened line-up for this match doesn’t improve things. Odds for Sunderland not scoring are 1.65. It might be a more risky approach, but also could be attractive for some. Enjoy the game!